“This bench was visually inspired by the feeling of floating that the main character felt in the French movie, Le Ballon Rouge”. Satoshi Itasaka drew his inspiration from this 1953 film which tells the story of a boy that befriends a red balloon and romps throughout the streets of Paris shadowed by his new pal (the film was later released for an American audience in 1957 under the name The Red Balloon, and took home an Academy Award for Best Original Screenplay despite the fact there is hardly any dialogue spoken in the film). 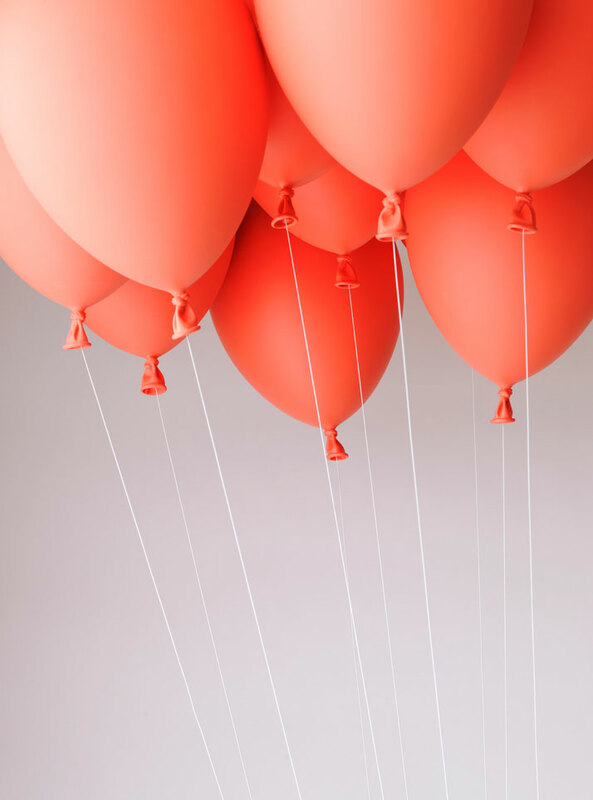 The film is a classic, its imagery familiar to almost everyone; the innocent red balloon that is never far from the boy and follows him loyally even when potential danger lurks as others try to capture it and make the balloon their own. There is a dreamlike quality, in part due to the silence of the film, and whimsy is evident in the graceful dance of the bouncing balloon as it floats just out of everyone’s reach above Paris, even though the balloon meets its demise in a group of mischievous boys who destroy it. 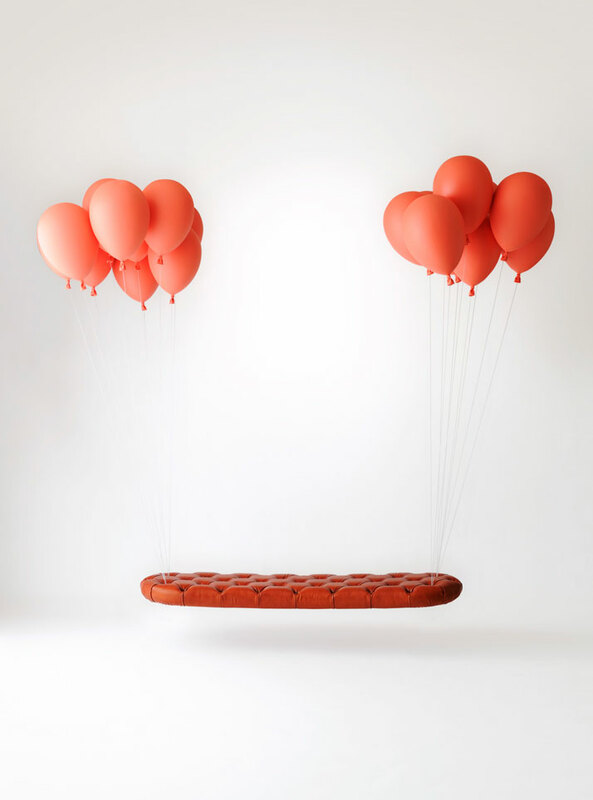 The Balloon Bench appears to be suspended in mid air, held up by two bunches of red balloons, yet the reality is Itasaka suspended his creation from the ceiling by 4 anchors concealed by the shapes of the balloon bundles. ''Smoke and mirrors'' is the famous saying among movie makers… things are not always what they seem. Itasaka successfully creates the illusion that a substantial bench is lifted by only a few delicate balloons. This dreamy sculpture can actually become a part of someone’s reality seeing that the artist has made the decision to sell it. 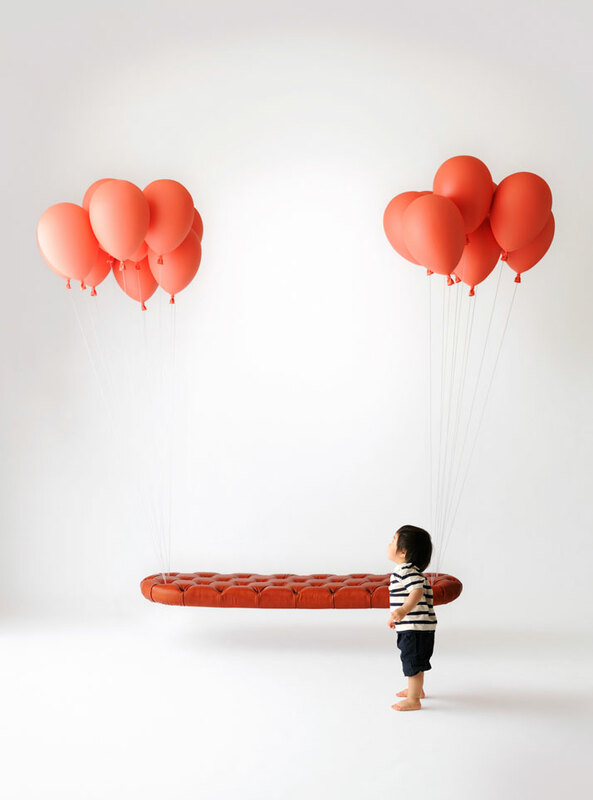 The Balloon Bench can be found at Gallery SOMEWHERE in Tokyo, Japan, floating above the crowd.